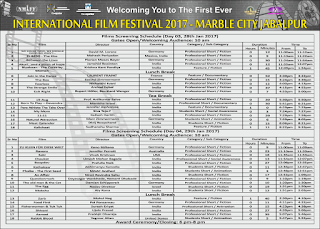 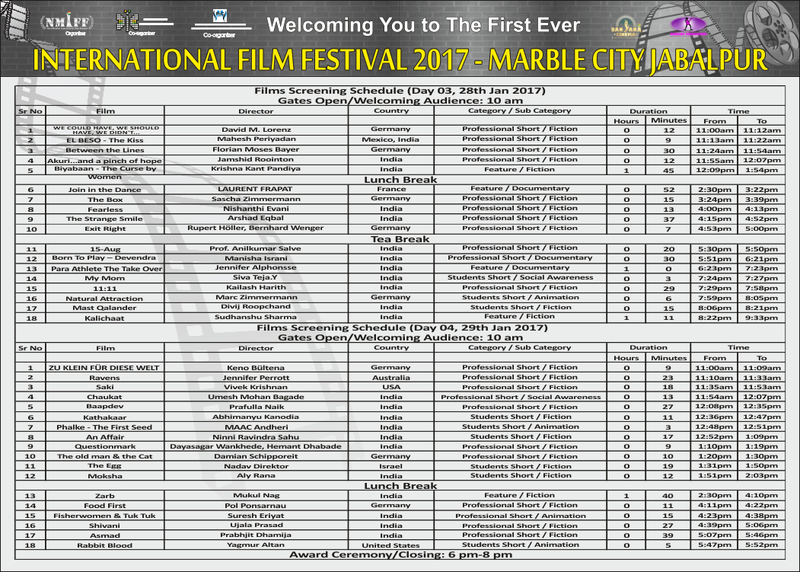 Here is the event flow & screening schedule of films been screened at the International Film Festival 2017,Marble City Jabalpur. 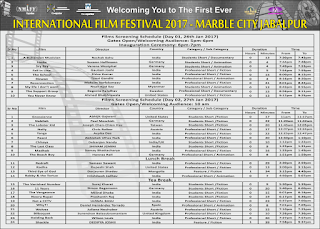 Welcoming you all to watch these 70 best films selected from 503 films / 48 countries. 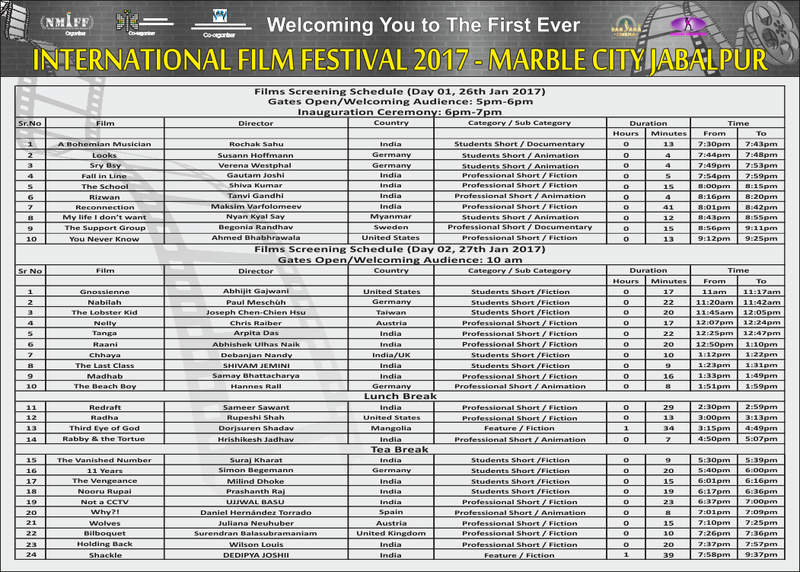 The 3rd Navi Mumbai International Film Festival is going to be held at Jabalpur,Madhya Pradesh,India from 26th January to 29 January 2017 at the “ Tarang Auditorium”.We are looking forward to a grand event in this marble rocks city,which is famous as an International tourist place with world famous “Dhuandhaar” water fall and beautiful marble rocks along the banks of Narmada river.